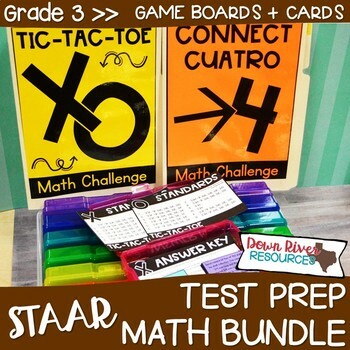 This third grade STAAR test prep resource includes the two fun and engaging game boards for students to use along with a multitude of unique rigorous questions. 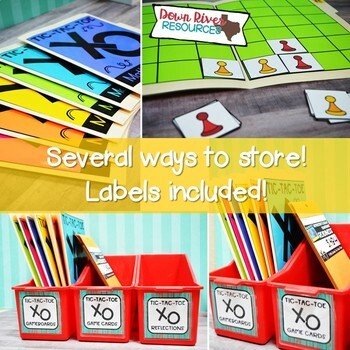 Ditch the multiple choice practice + make test prep fun for your mathematicians! 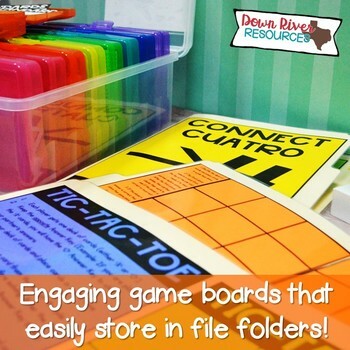 Your students will love playing these fast-paced games! This bundle currently includes cards to practice how to compose and decompose numbers up to 100,000; represent equivalent fractions; compare two fractions; solve one- and two-step addition and subtraction problems; classify and sort figures, determine the area of rectangles, and solve one- and two-step multiplication and division problems. 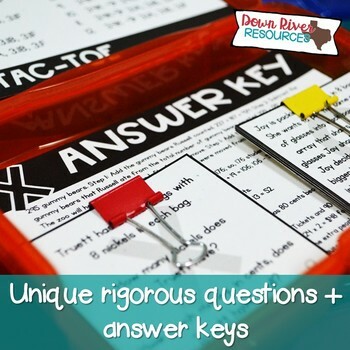 ☑ The question cards in this set are rigorous for reviewing the third grade math TEKS. The value of this bundle is $64.00. 5. File last updated on April 12, 2018.